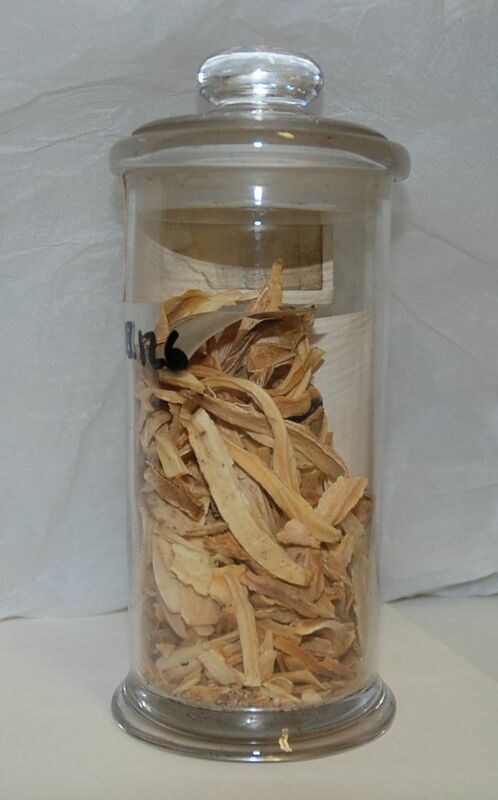 The Aristolochia genus is particularly close to the heart of the Manchester Herbarium, its name provides us a unique Twitter nom de plume. But it is also a plant with a considerable body count. It contains a carcinogen which may be responsible for a larger number deaths than more notorious plant poisons like cyanide and ricin. 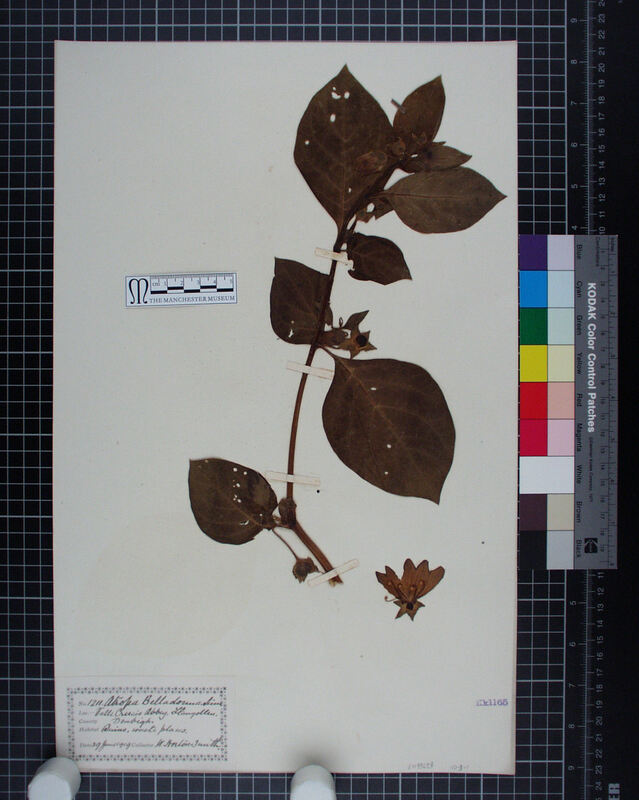 A number of species in the Aristolochia genus are known as birthwort. The genus name is derived from the Greek for “good for childbirth”, so both the common and scientific names suggests its medical use. It was noted by Roman doctors that the flowers of Aristolochia clematitis were somewhat womb-shaped. The Doctrine of Signatures, a major concept within the medicine of the time, stated that plants were designed to resemble the body part they could treat. Therefore A. clematitis roots were used for over two thousand years to trigger delayed menstruation, speed up a labour and help deliver a placenta. The plant continues to be used in Traditional Chinese Medicine and more rarely in homeopathy to treat a wide variety of diseases, despite the risks. The roots of all Aristolochia sp. contain the carcinogen aristolochic acid, which for anyone can produce more mutations in the genome than tobacco smoke or UV light, but in the 5-10% of people who are genetically susceptible can cause kidney and urinary tract cancers. This was discovered when, in the late 1950s, localised epidemics of kidney disease and urinary tract cancer in certain rural villages in Bulgaria, Yugoslavia and Romania were noted. The condition was described as Balkan Endemic Nephropathy (BEN) but it’s cause was not found. However, in the 1990s a group of women with End Stage Renal Disease were all found to have taken the same herbal mixture for weight loss contaminated with Aristolochia fangchi, and their condition was described by researchers as Aristolochic Acid Nephropathy. When Prof Arthur Grollman from Stony Brook University learned this, he saw the similarities with BEN, and wondered if there was a similar cause. 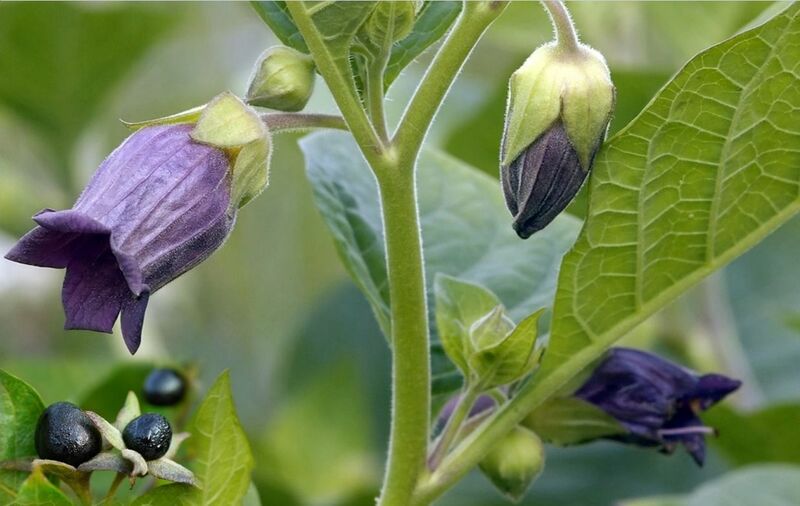 He found A. clematitis in the wheat fields of affected villages and the imprint of aristolachic acid damage in the DNA of BEN patients’ kidneys cells, showing a causal link between chronic exposure to Aristolochia and these cancers. 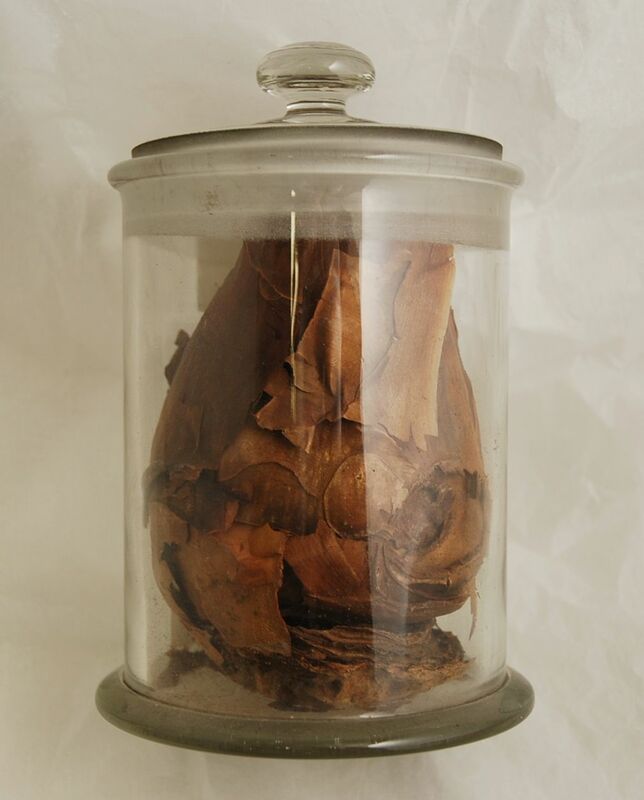 Aristolochia has been taken by many people as medicine or accidentally throughout history. As recently as between 1997 and 2003, an estimated 8 million people in Taiwan, were exposed to it in herbal medicine. This has lead some to suggest that it may be the most deadly plant in terms of number of fatalities rather than outright toxicity. Whether or not this claim could be quantified, it highlights that plants can be dangerous if used unwisely, so herbal medicines should not be taken blithely. A. clematitis itself is a common weed, with creeping rhizomes and cordate (heart shaped) leaves. The distinct yellow flowers lack petals and form a tubular structure with a rounded base. Hardly notably uterine. 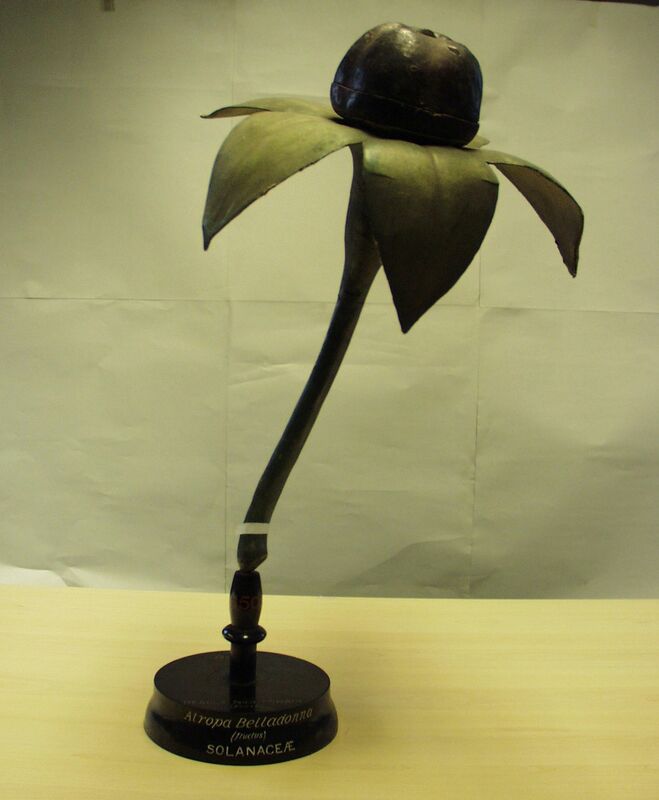 The strange shape of the flower is due to it’s peculiar method of pollination. The hermaphroditic flowers begin first with the female stage and attract and trap flies within the flower, where they feed and spread pollen. In a few days the male stage produces the pollen that covers the trapped flies, which are released to pollinate again. The native range is around the Mediterranean into central Europe, but was cultivated in the UK and USA. In the UK, it can be found as the survivors of the medicinal gardens of ruined nunneries and monasteries, a reminder of health care’s past and present mistakes. This entry was posted in The Poison Chronicles, The Travelling Botanist and tagged aristolochia, plants, poison. Strychnine is an infamous poison. It is most well-known by its appearance in the novels of Agatha Christie as an effective but unsubtle method of murder. 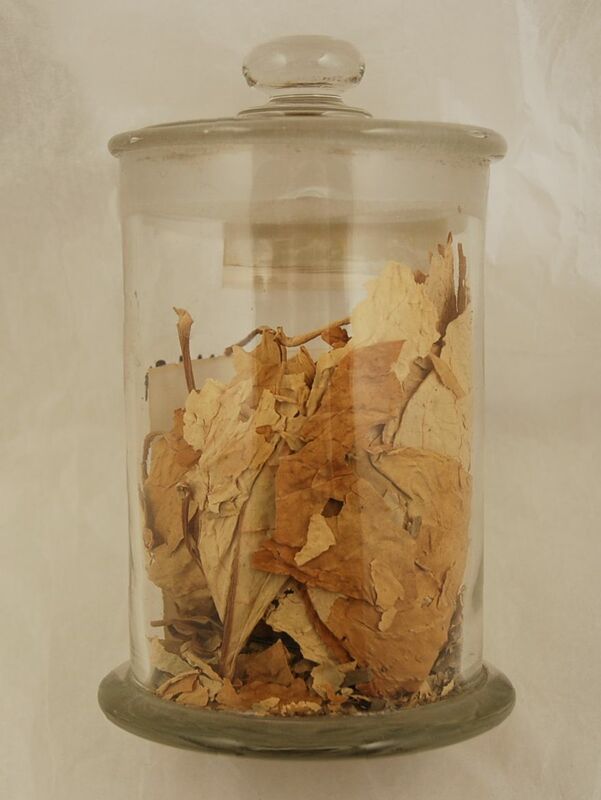 It was widely available in the 19th century from chemists as a rat poison, but this was taken advantage of by a number of real life serial killers including Dr Thomas Cream who gave disguised as a medicine and in alcohol. But strychnine had another side to it. Its caffeine- like stimulating effects means it has been used as a performance enhancing drug in competitive sports. Strychnine, along with the toxin brucine, is present in the seeds of Strychnos nux-vomica. Though its name is lurid, it does not have anything to do with vomiting, “nux vomica” translates as ‘bumpy nut’. S. nux-vomica is in the family Loganiaceae and is native to South-East Asia and India. It is a medium-sized tree with large smooth oval leaves. The flowers have a repellent smell and the fruit is apple-sized with a hard shell that is orange when ripe. Inside, the seed are held in soft gelatinous pulp. The seeds are flattened disks covered with fine hairs, their flatness gives them the nickname ‘Quaker buttons’. The strychnine is concentrated in the seeds, but the wood also possesses poisons including brucine. Strychnine in the S. nux- vomica plays the same role as abrin in Abrus precatorius, it prevents herbivore species evolving which specialize in eating these seeds, as the poison is so general that it will likely kill any animal that eats the seed. Strychnine poisons by blocking glycine from binding to specific neurons in the central nervous system. Strychnine prevents glycine from carrying out its inhibitory role, so causes the central nervous system to over-react to the smallest stimulus. Initially the muscles become stiff, which is followed by hyperreflexia, where small stimulus trigger powerful reflex reactions. Later, increasingly frequent whole body convulsions occur. 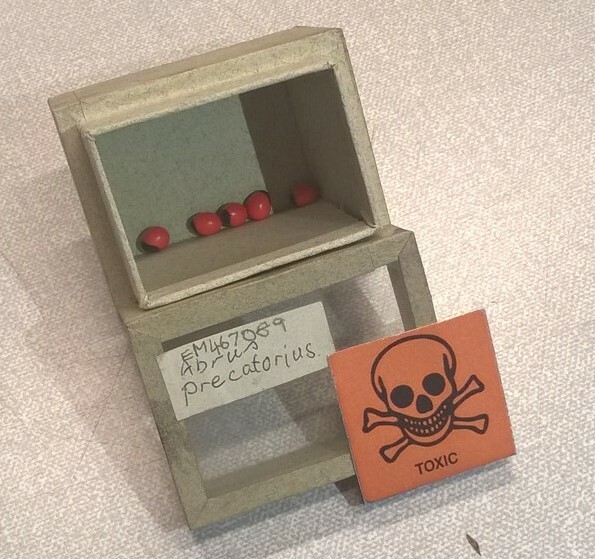 These resemble those in tetanus, an explanation often used to cover up strychnine poisoning. Eventually the respiratory muscles become paralysed and death by asphyxiation occurs usually within a few hours. Strychnine cannot cross the blood-brain barrier, so the victim is fully conscious throughout, making strychnine poisoning one of the worst ways to die I can imagine. The main method of treating strychnine poisoning is crude. The patient is given barbiturates and muscle relaxants and removed from stimuli to prevent convulsions until the strychnine is metabolised by the liver which takes a few days. However, S. nux-vomica extracts have been used in herbal and alternative medicine. It has been recommended for many different health issues from abdominal pain, heart disease and migraines though there is no evidence for its efficacy as a drug. However, a low dose of strychnine stimulates the central nervous system in a similar way to caffeine, but to a greater extent. This gives it great potential to act as a placebo, which is likely why it was reported to treat a wide range of illnesses, as well as to help spur athletes to victory. S. nux-vomica‘s stimulating effects were used in 19th and early 20th century Europe and America in competitive sports as one of an arsenal of performance enhancing drugs, which were even deemed necessary for some endurance sports. Strychnine helped the American Thomas Hicks secure an Olympic Gold Medal. He was given strychnine and brandy during the 1904 Olympic marathon when he was flagging, though he collapsed after crossing the finishing line he later recovered. To this day, strychnine is on the list of banned stimulants in the World Anti-Doping Agency International Standard Prohibited List. For more information, see the Poison Garden’s page on the species and Ian Musgrave’s article on strychnine in sport. 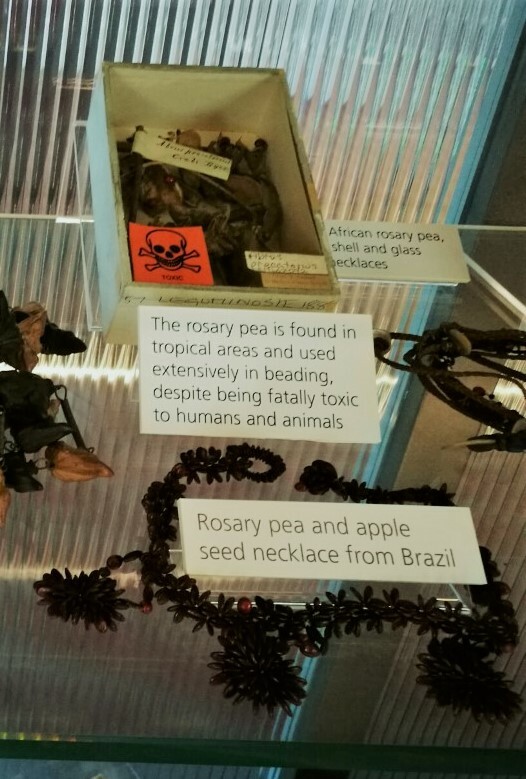 This entry was posted in Manchester Museum, Poisonous plants, South Asia, The Poison Chronicles, The Travelling Botanist and tagged deadly plants, doping, history of botany, history of medicine, Manchester, Manchester Herbarium, Manchester Museum, poison, Poisonous plants, Science, seeds, strychnine, strychnos nux vomica. Earlier in the month Rachel went on a trip to Mallorca, with a group of 1st year undergraduates from the University of Manchester (for more information see her blog post: https://herbologymanchester.wordpress.com/2015/04/07/surviving-salt-and-waterlogging-on-the-albuferita-mallorca/). During her time there she saw a number of sea squills (Drimia maritima) so I thought I would write a post about this interesting plant. Drimia maritima is a poisonous plant that grows in rocky coastal habitats across southern Europe, western Asia and northern Africa. It grows from a large bulb that can be up to 20 cm wide and a kilogram in weight. 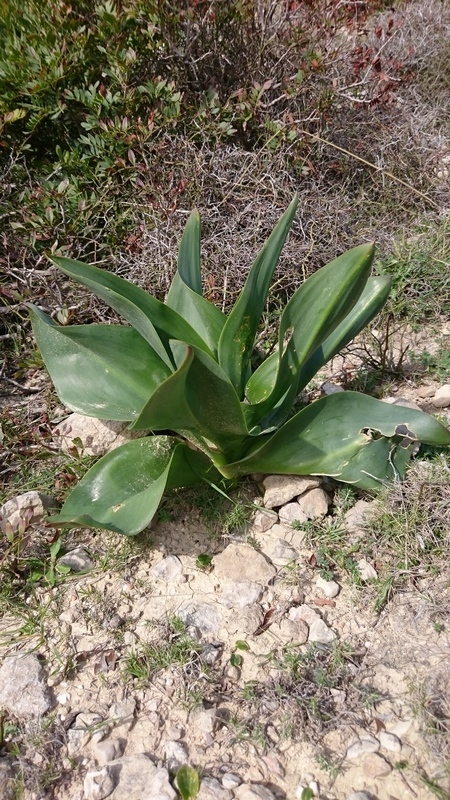 In the spring, the bulb produces a rosette of dark green, leathery leaves that can reach up to a metre long. The leaves die away by autumn, when a shoot containing the flowers grows from the bulb. This flower-bearing shoot can achieve a height of up to 2 metres. Pollination of the Drimia maritima flowers occurs by both insects (specifically the western honey bee, the Oriental hornet, and the paper wasp) and wind. Drimia maritima has been mentioned as far back as the 16th century BCE in the Ebers Papyrus (an ancient Egyptian medicinal text). In the 6th century BCE the Greek philosopher Pythagoras wrote about the uses of squill and, along with Dioscorides (1st century ACE and author of De Materia Medica), recommended hanging the bulb to protect against evil spirits. 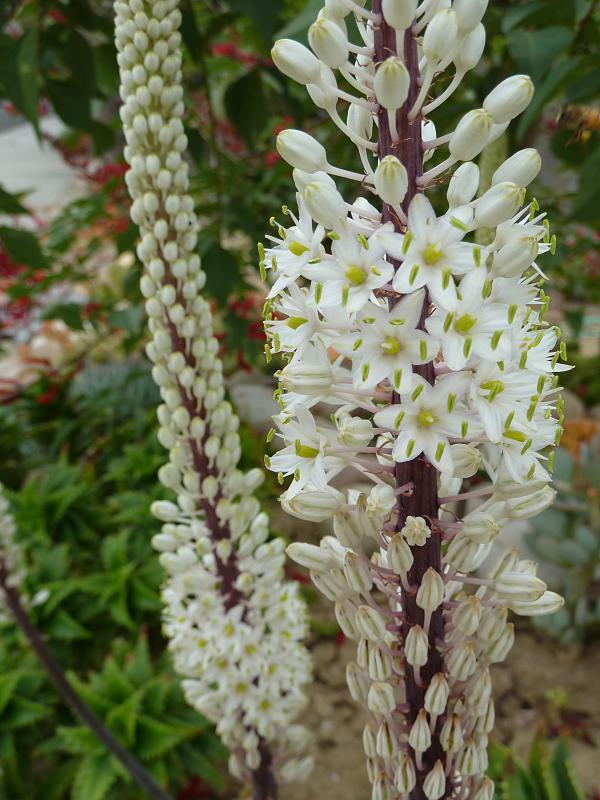 One of the earliest medical applications of the sea squill came from the Greek physician Hippocrates (4th century BCE), who advocated its use to treat jaundice (yellowing of the skin), convulsions and asthma. 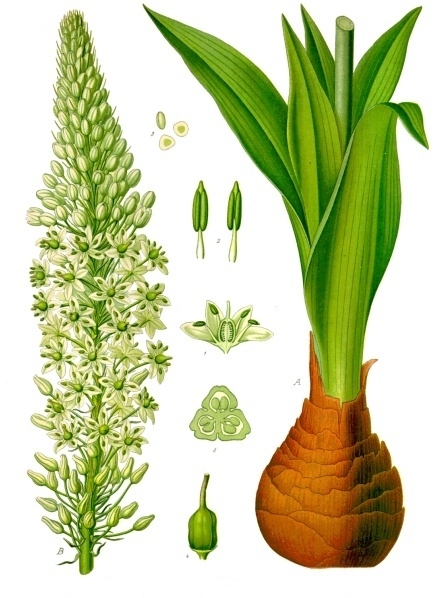 Over the centuries, Drimia maritima was used as a common treatment for dropsy (abnormal accumulation of fluid in tissues) before the more effective foxglove (Digitalis sp.) became the standard treatment during the 18th century. The plant has also been used in folk medicine as a laxative and to clear mucus build-up. In addition to its medicinal use, squill has been employed as a poison. All parts of the plant contain toxic chemicals. Once such compound, called Scilliroside, was shown in 1942 to be an effective rodenticide that is avoided by most other animals. In the 20th century, Drimia maritima began to be experimented on to develop highly toxic varieties for use in rat poison. Though not the most common rodenticide, interest in squill’s rat killing abilities has increased dramatically since many rats became resistant to the coumarin-based poisons previously used. This entry was posted in Adventures, Materia Medica, Specimen of the Day, Students and tagged botany, bulb, collections, Dioscorides, Drimia maritime, dropsy, Ebers Papyrus, Hippocrates, Mallorca, materia medica, poison, Pythagoras, rodenticide, Scilliroside, sea squill, toxic.